Simply gorgeous music. 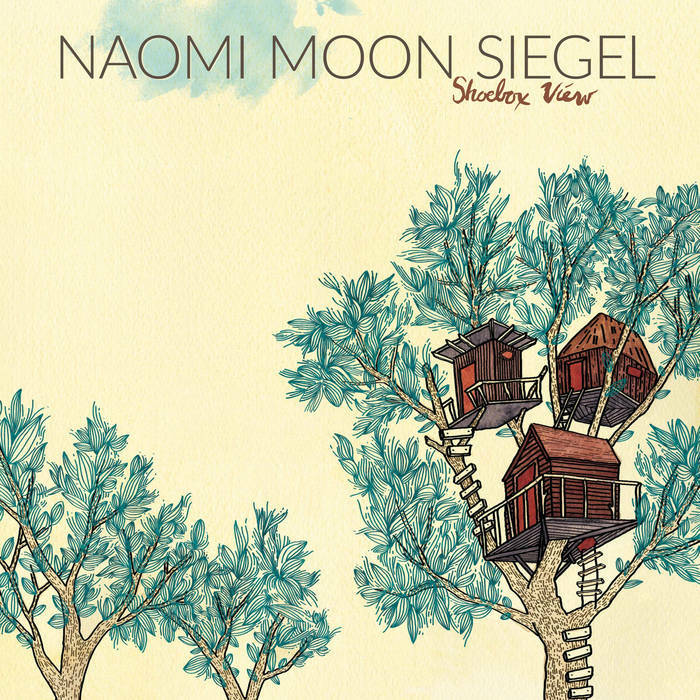 That was my first thought when listening to Shoebox View, Naomi Moon Siegel's excellent debut solo album. 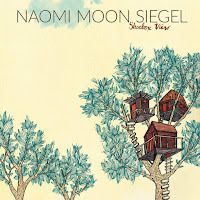 One half of the duo Syrinx Effect, whose album Snail Songs was highly praised, Naomi has expanded on the sounds developed on that album to create a soundscape that is contemplative, evocative and soulful. She collaborates with a variety of artists here: Sean Woolstenhulme (electric guitar, acoustic guitar, banjo); Wayne Horvitz (organ, piano Wurlitzer); Eric Eagle (drums, percussion); Keith Lowe (upright bass); Alex Guy (viola); Ivan Arteaga (alto saxophone); Michael Coleman (Wurlitzer, synthesizer); Thione Diop (percussion); Jefferson Rose (electric bass ); Andrew Vait (syntesizers); Jacques Willis (beat production); Greg Sinibaldi (baritone saxohone); and Steve O'Brien (trumpet). The opening track, Grey Orange Green, is a duet between SIegel and Woolstenhilme, his guitar providing the theme, and the trombone soloing, evoking an Ennio Morricone theme song with its steady pace, repetitiveness and elegant minimalism. Jeanine's Joy has a latin influenced beat with soulful horns and sweet electronic textures; It's Not Safe combines the influences of Curtis Mayfield and Young Holt Ltd. There is an even paced tone throughout, no matter what combination of instruments or references. Her trombone sound is very distinct; gliding yet lucid. A mixture of jazz, latin, electronics, folk, and chicago soul, Shoebox View is an uplifting musical experience that is unlike anything that I have heard in a while. Highly recommended.